A smart city is the ultimate in efficiency. Data and technology are used to boost economic development, improve the quality of life for those living in the city, and improve sustainability. The UK Department for Business, Innovation, and Skills (BIS) defines this as, “A process rather than a static outcome,” so by this definition, smart cities are continually in a state of flux. In terms of data, smart cities make use of interconnected information technology to aid operational control. These systems are scalable, so they are being continually improved. For the people who live in smart cities, it’s a great place to be. They are clean, modern, with excellent, more efficient transport links and internet connectivity. Spending on smart city data technology is expected to reach $80 billion this year, and $135 billion by 2021. The US is expected to spend the most on smart city technology, with spending forecast to reach $22 billion, but China is not far behind, with a $21 billion shopping list. Singapore is one of the world’s largest smart cities. It’s also one of the world’s leading financial centres, which is handy if you want to learn how to trade forex. Singapore aims to become the world’s first smart state, and it’s working hard to make that happen. The city is managed incredibly efficiently, with smart waste disposal systems, efficient lighting, and smart sensors all over the city that monitor everything from elderly relatives in care homes to car parking. London is an aging city, but it’s using smart technology to bring its ailing infrastructure into the 21-st century. Electric bike sharing, also known as Boris Bikes, as well as smart parking spaces, make traversing the city’s congested roads a lot easier. There are also plans in place to turn the River Thames into a renewable energy source. Innovative measures like this will ensure London remains one of the world’s top smart cities. Oslo in Norway has long been committed to cleaner living, which is why it is one of the world’s top smart cities. Oslo’s lights are powered by 65k smart LED bulbs and there are plans in place to add an additional 37 miles to the city’s bicycle lanes. Waste is reused as fuel, so the city is fairly unique in that it has zero waste. By 2030, Oslo aims to be climate neutral. 800k people call San Francisco their home, which means it is plagued by congestion, just like many other large cities. 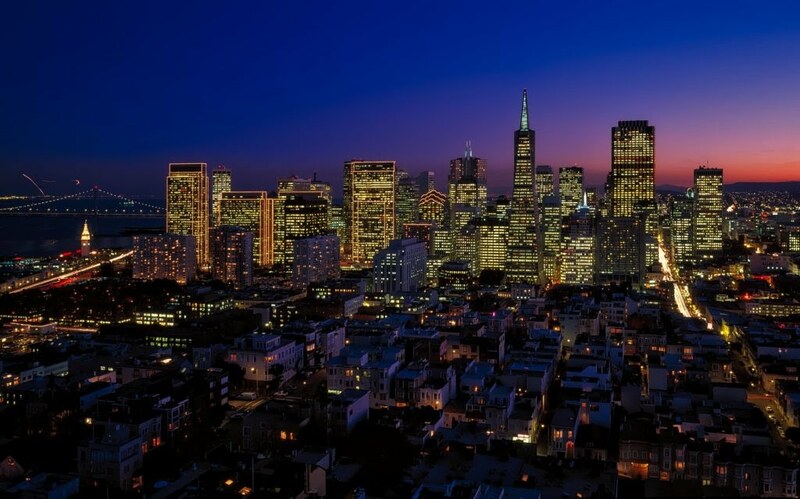 Smart technology is helping to make the lives of San Francisco’s citizens much easier. If they want to use the city’s transport system, they can use smart technology to pay for fares. The city has also invested heavily in clean energy initiatives, with all new buildings now required to have 15 percent of roof space devoted to solar panels.